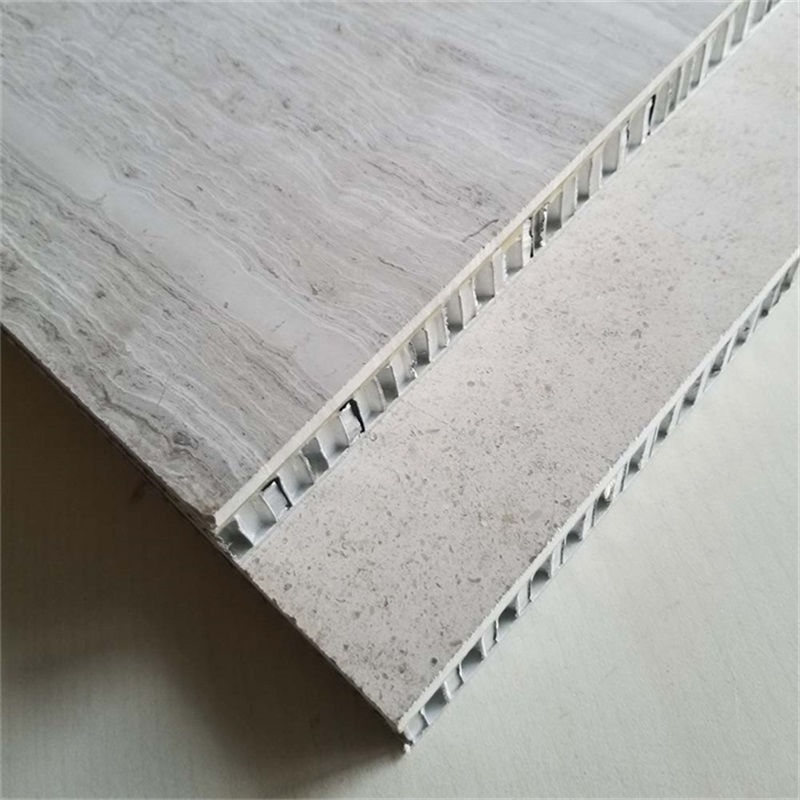 StrongbonD Stone honeycomb panel is a kind of high-tech and environment-friendly decoration materials by closely binding aluminum board and aluminum honeycomb core,which is manufactured by fully automatic production aquipment integrating internationally advanced aviation technology. 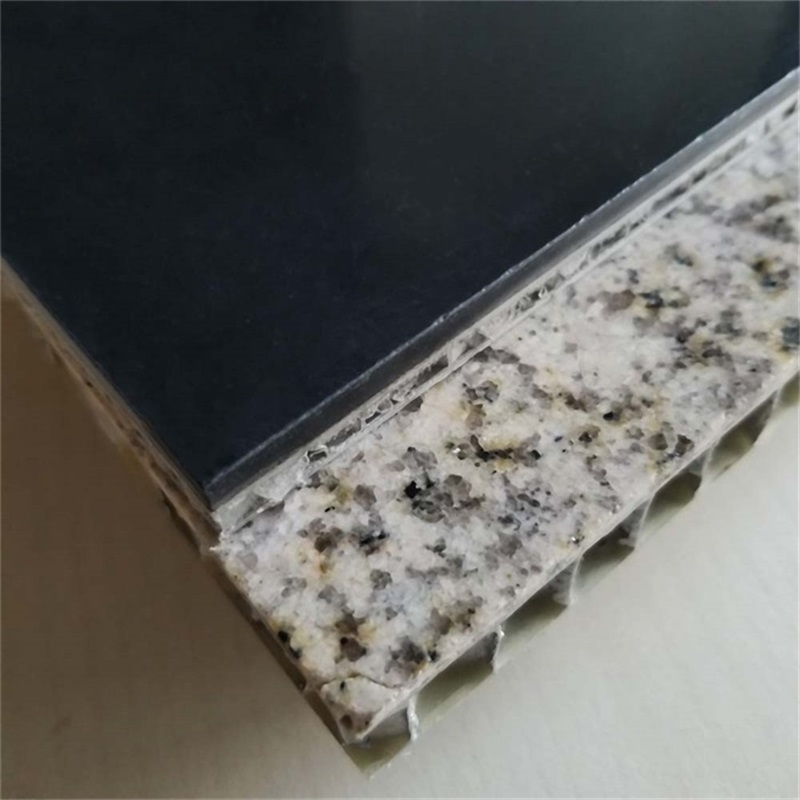 1)light weight: If the panel thickness is the same, stone honeycomb panel is much more lighter than traditional stone slab,it can save a lot on the transportation,and it is a good materials for high-strrey buildings. 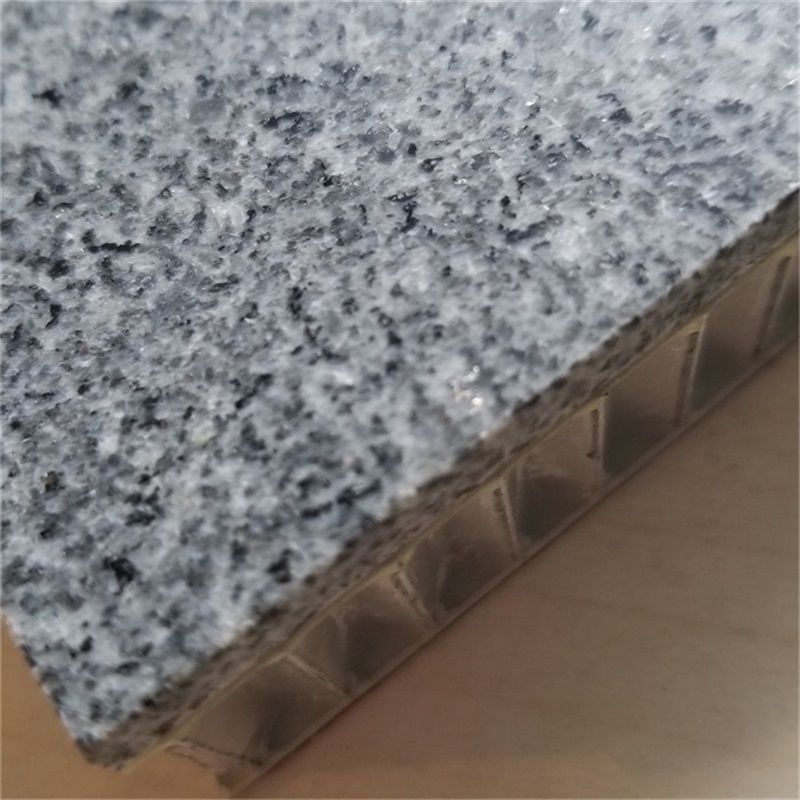 2)Improvement of strength: the stone panel's bending and shearing strength areobviouly improved after composed..
3)Anti-pollution:tranditional stone,for example,using wet cement paste,the surface may change colors and appear besmirch in monthes after installation.Stone honeycomb panel has a compact bottom plate and a thin adhesive layer,it can avoid this kind of pollutions. 4)Minimize color variation:stone honeycomb panels composed by stone slice and honeycomb structure. A pice of traditional stone can be cutted into 2-3pcs slices,and the pattern of these slices are almost the same. Thus easier to ensure the consistency of color and patterns when used in large area. 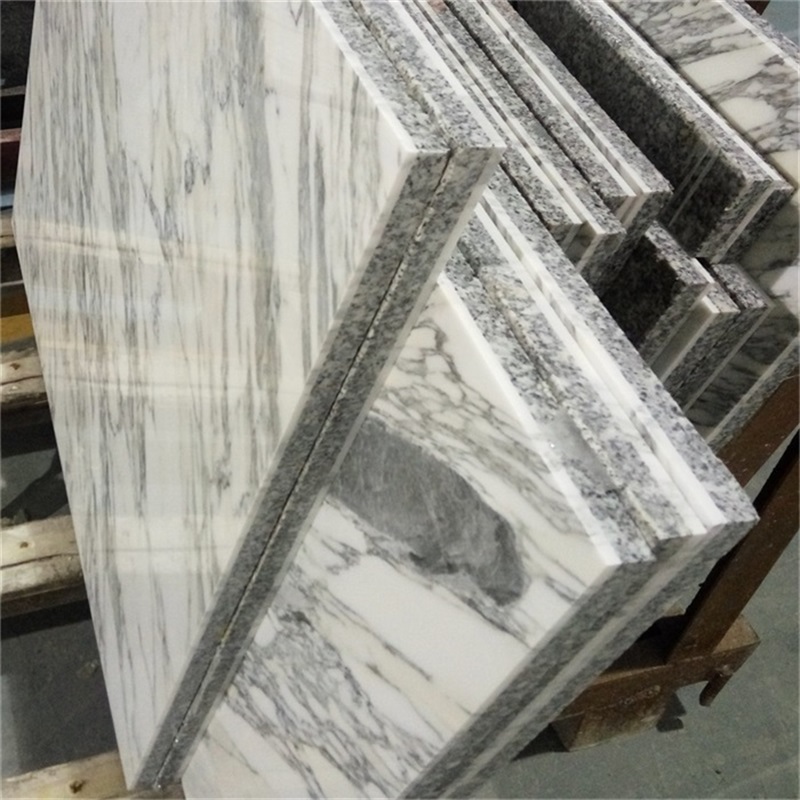 5)Easy to install: As a result of above characteristics,in the process of installation,regardless of the weight,strength,color,stone honeycmb panels improved the safety and sfficiency and reduced the cost of installation. 6)Break the restricted area: Tranditional stone can be used in wall,floor,window,table,but the ceiling is a restticted area.Stone honeycomb panels breaked this restriction because it's very light,which is only 1/5 or 1/10 of the tranditional stone. 9)Cost reduction: stone honeycmob panel is thinner and lighter traditional stone panel,it can save the cost on transportation and installation . 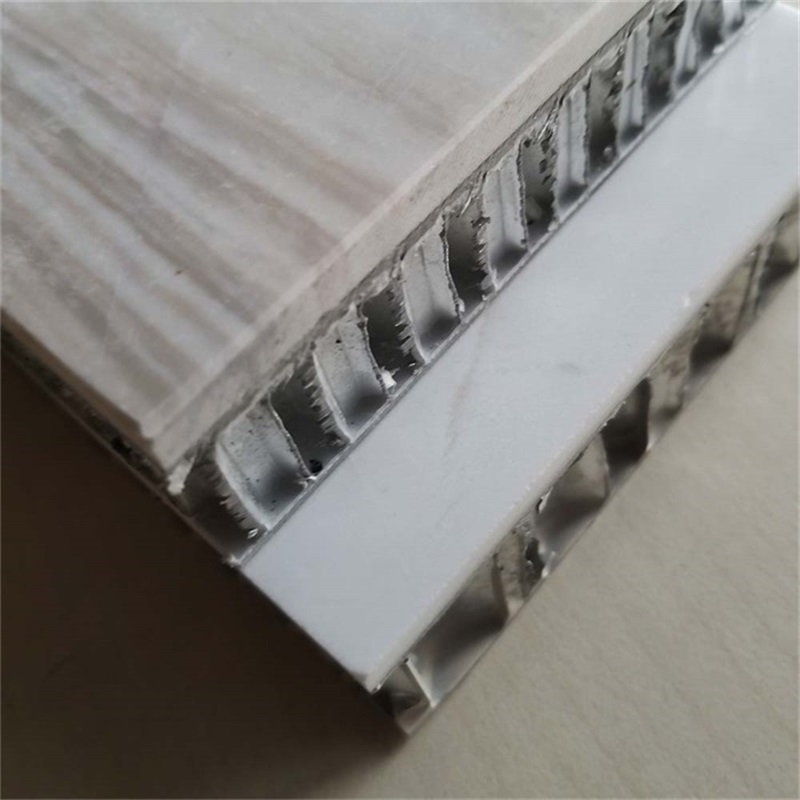 stone honeycomb panels commonly composed by 3-5mm stone veneer and 10-25mm aluminum honeycomb panel.